Whether it involves divorce, custody, child support or simply property division, a family law matter will invoke emotional responses from all parties. It is imperative to seek counsel from an experienced attorney so that the heightened emotions do not override your practical goals. It is crucial to seek counsel so that you know your rights regarding custody, child support, alimony and equitable division of assets. 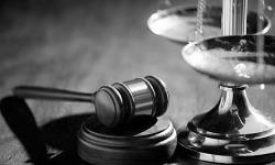 Often, early involvement of an attorney can relieve the need for adversarial proceedings. There are many other options available to parties willing to resolve their differences outside of the courtroom. Mediation is becoming the preferred method of resolving family law disputes because it allows the parties to have ownership of the result -- and not simply allow a judge or jury to make decisions affecting their lives and their children's lives. J. Michael Giglio was one of the first attorneys in the Lookout Mountain Judicial Circuit to complete the educational process to become a registered mediator in the State of Georgia for domestic matters. He owns and operates Lookout Mountain Mediation Services. This information is provided as a general guide only. It cannot substitute for experienced counsel from a competent attorney. If you need further information on a family law matter, please call our office and make an appointment to speak with J. Michael Giglio. You may also visit our contact page and communicate directly with Mr. Giglio.